Scratchy monkey to hang cloth and sisal 33x5x68cm - This Monkey Plush represents much more interest ..
Scratchy Rabbit to hang cloth and sisal 33x5x68cm - This Monkey Plush represents much more interest ..
Save your furniture and give your feline friend endless scratching fun with the cat tree. This cat s.. These cardboard cat scratches help to keep your feline's claw groomed as they satisfy their scratchi.. 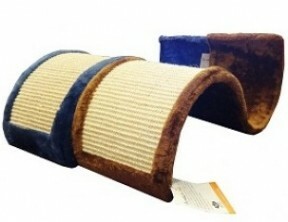 Hanging, catnip-infused Savvy Tabby® Wild Time Sisal Sticks Cat Toys are great for keeping cats occu.. 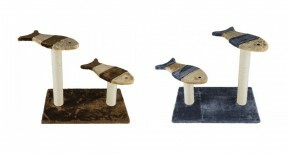 This elegant scratch post doubles as a second home for your feline friend.In addition to offering yo..
Cats love to keep their claws strong, so our selection of cat scratching furniture is the ideal addi..